FEATURES: Built-in flashlight, Laser positioning,the laser can help you accurately find out the center of lens, the object you want to take photo or record video, so as not to deviate from view. it can switch lens filter, suitable for day and night use, night vision for police law enforcement, 6 built-in high power infrared lamp, night camera video resolution. with in 8-10 meters can see human face. DELAY RECORDING AND WATERPROOF DESIGN: IP 54 waterproof ,it suitable work outside ,no matter rain or snow,keep on working. pls note:it couldn't work under water. 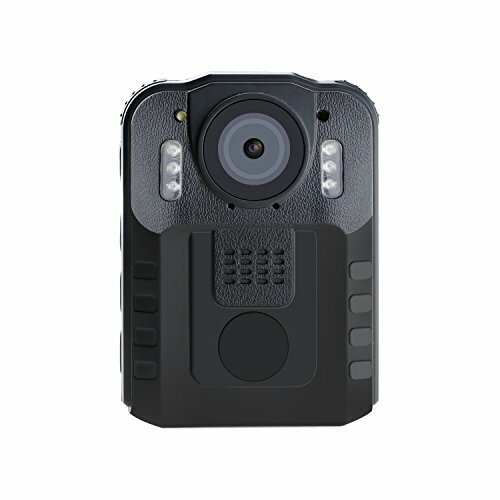 The body camera can continue to record video and audio about 300 seconds after end the "Video"button.This function can effectively prevent interrupting during recording. If you have any questions about this product by Wordcam, contact us by completing and submitting the form below. If you are looking for a specif part number, please include it with your message.